Ships within 4 business days. Please allow up to 2 additional weeks transit time for your item to arrive. April 06, 2016 by Mark F.
On time delivery and packaged delivery. Perfect experience. 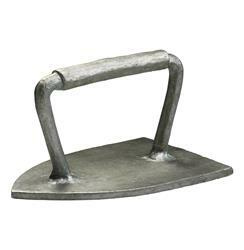 It won't keep wrinkles at bay, but this adorable iron will certainly help out as a paperweight or decorative object. A lovely play on scale and function, this piece has a distinct vintage attitude which would be right at home in a variety of rustic and farmhouse style spaces.